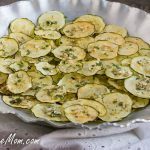 Homemade Ranch Zucchini Chips are low carb, low calorie and an absolute must try healthy chip! 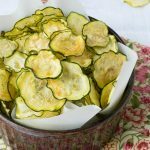 That’s what I like to call these zucchini chips. There’s no guilt when enjoying them. Super flavorful with a homedae dried ranch seasoning on them. Low in calories, only 29 for a 1/2 cup!!!! 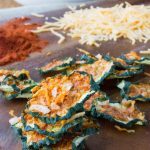 Of course you must have known I would create another version of zucchini chips after the Salt & Vinegar ones were such a hit. The kiddies and I brainstormed some flavors of chips they like and we came up with these to try first. If all goes well I’ve got 3 other flavors I will be experimenting with. But this time I ran into a problem. I switched out the regular, standard, non fancy, no temperature dehydrator that I used for the other chips. Why did I try a different dehydrator you ask when the other one worked perfectly fine? Because the hubby has this expensive, many temperature setting one he uses to make jerky and I thought I’d try it, maybe it will take less time then the one I have, I thought. The next difference was I used my mandolin and not my food processor to slice the zucchini. The mandolin made them paper thin as you can see. I think I like the thicker way the food processor sliced them. 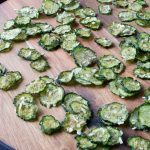 Problem 1: Using a mega dehydrator that has temperature settings made the paper thin zucchini chips stick to the grates and were ruined. The setting was for fruits and vegetables and it was way too hot in there. I couldn’t even peel them off. Sad, disappointing, all the work and nothing to show for it. 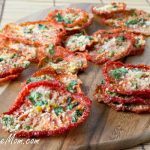 The second time I made them, I tried again in his powerful dehydrator because I wanted them done faster. And I kept checking and lifting the cover. And checking and lifting. And realized the same darn thing is happening. They are so thin and this thing is cranking out the heat even on it’s lowest setting. So I removed them and transferred them to my old dehydrator and all is well and they worked fine as you can see from the pics! 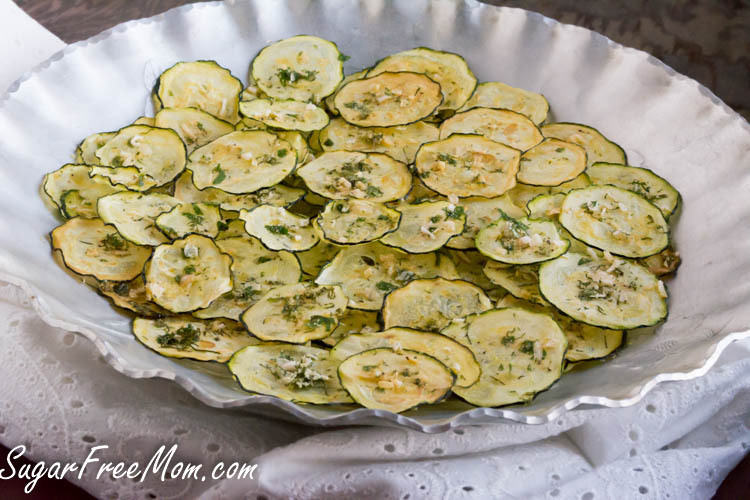 If you’re going to use a powerful dehydrator that has different temperature settings for food, I would suggest NOT making the zucchini slices paper thin. Make them thicker and they won’t be ruined as mine were. Or make the recipe in the oven. In the nutrition data I counted only 1/4 cup of the buttermilk since most of it does not get absorbed into the chips and I had about 3/4 left in my cup. I also counted only 1 tbsp of the olive oil as well. The sugar grams are from the buttermilk. Be sure to spray the grates of the shelves of your dehydrator or they will surely stick because of the buttermilk mixture. 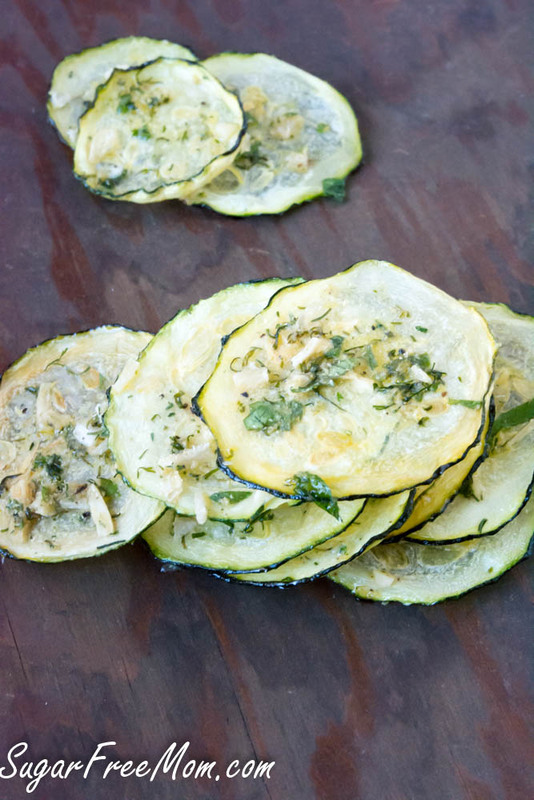 Set aside the sliced zucchini in a large shallow bowl. Pour the milk in a bowl and add the vinegar and let sit for 5 minutes to create buttermilk. If you have store bought buttermilk, you can skip this step. After 5 minutes stir the mixture and add in the olive oil and whisk until combined. Pour mixture over the zucchini and toss with your hands to coat them well. Set aside. Whisk the seasonings together in a small bowl. Set aside. Spray your dehydrator with olive oil spray or no stick cooking spray whichever you prefer. 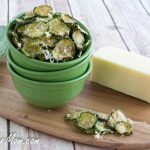 Lay the zucchini sliced onto the dehydrator shelves. Sprinkle the seasoning mixture over the slices and cover. Dehydrate until crisp to your liking. Lay on greased baking sheets, do not overlap. Bake 3-4 hours depending on how crisp you like. I want 45 of these. SO GOOD!!! 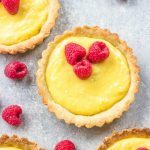 would almond milk work in this recipe? I’ve not tried the almond milk and the vinegar to make buttermilk but I guess it would. Let me know if you try it. These sound wonderful and I can hardly wait to try these. I am I lifetime Weight Watcher and love crunch! Is there any dehydridrator that works better than others? I only have a small oven on the counter as I don’t have a regular stove right now. Please let me know if you have any suggestions. I think it would take forever. Also do they store well for any length of time? 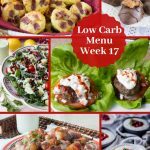 Which brand of dehydrator worked for this recipe? I’ve been thinking about the salt and vinegar version ever since you posted them. Now I need to make both version! These look fantastic and flavorful! 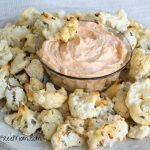 I’d definitely be happy snacking on these instead of (fattening) potato chips! Holy yum! Love ranch flavored anything! Can you substitute a dairy free milk instead of buttermilk? Or should I say have you? I’ve not tried to as my youngest was eating these and he has a tree nut allergy so I can’t use almond milk. I don’t have a dehydrator but you mentioned baking them. 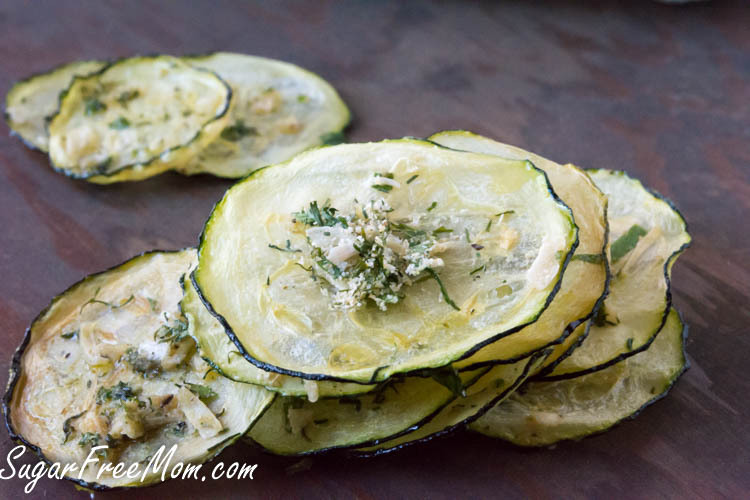 Do you know what temp and how long to bake them in the oven for the thin slices of zucchini? Would you bake then on a greased cookie rack or flat on a greased pan?I do have a mandolin, works great for so many things. Thanks. They look so good. 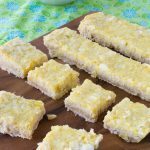 I’ve been looking for healthier snacks for my kids, plus adding more veggies to their diets. They’re quite picky eaters. Though I think this one will stick well with them. Can we use a short cut and just use a pack of ranch dressing seasoning? These are my new addiction! 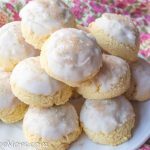 I loved the salt and vinegar ones, I’ve made them a couple times. But these, these beautiful little crispy bites of deliciousness, I am HOOKED! I currently have batch #4 going in my dehydrator in as many days! Tried to make them but I cannot get them to be crisp! 🙁 what could i be doing wrong? Baking in oven or dehydrator? 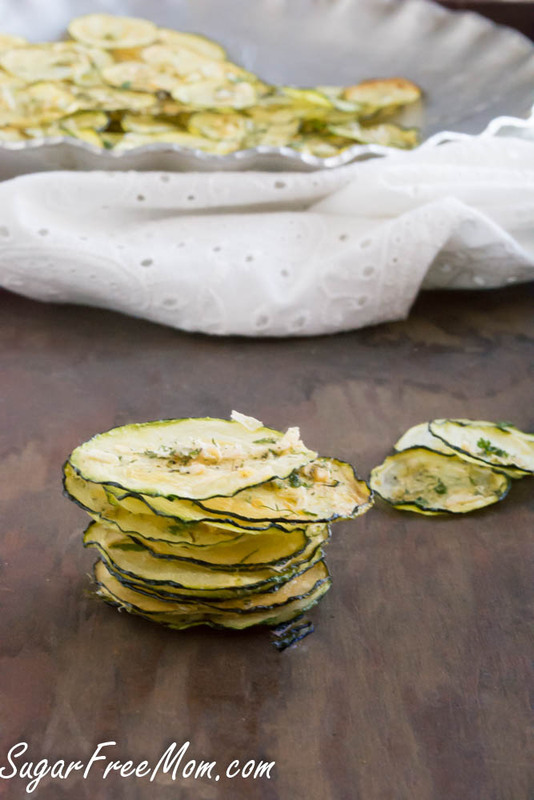 Would you be able to swap out the zucchini for cucumbers and have ranch cucumber chips instead? 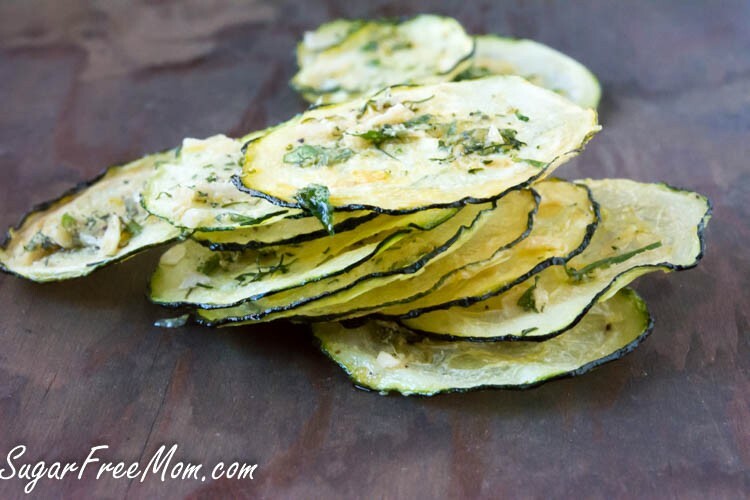 Also would I be able to do the same with the salt and vinegar zucchini chip recipe (swap out zucchini for cucumber)? Thanks! Yep that would work fine.